Vermont Tree Goods founder John Monks has spent his life working with wood in many different capacities. He has always had a strong affinity for trees and spent many of his early years admiring them from high in their branches. As a 20-year-old he built his first house and knew his calling was to work with wood. After many years as a builder in Vermont, John moved to California to help with a family construction project. There he quickly gained experience and a reputation for his use of alternative and sustainable building materials including straw bales and reclaimed wood. At this time he began to work with large live edge slabs, incorporated them into his houses as countertops, and also built furniture. This is when he found his roots and the inspiration to create natural furniture. 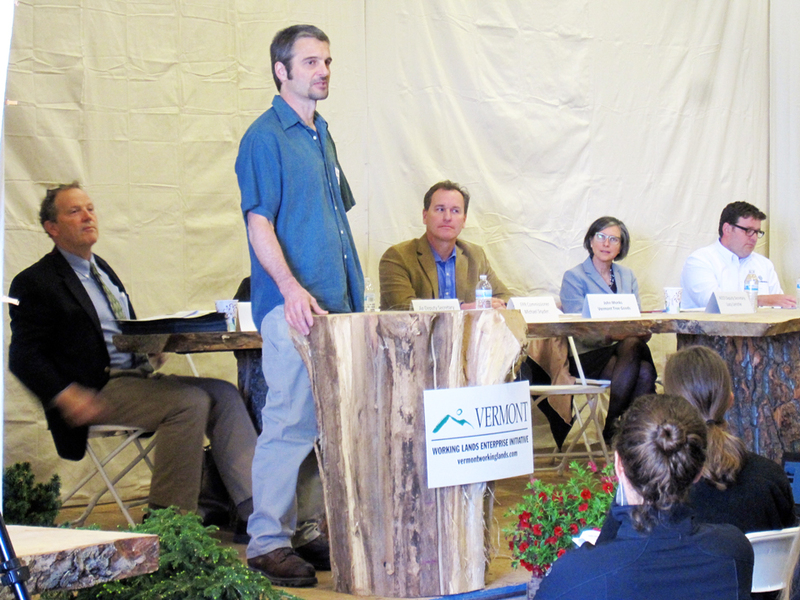 In 2008 John returned to Vermont with his wife and son and a vision as to how furniture should be made and how the process impacts our environment. He began to collect unwanted large diameter logs to produce lumber for his furniture. He experimented with chainsaws (not highly recommended) to learn how to mill the largest of these trees. 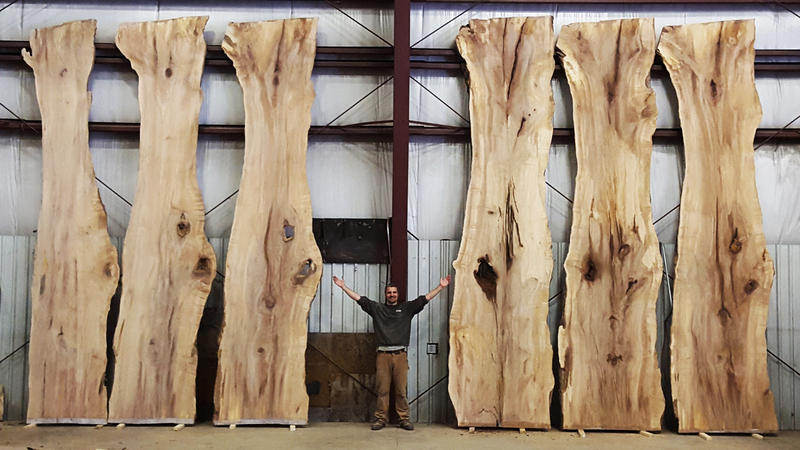 After much trial and many splinters, he designed the unique sawmill that allows Vermont Tree Goods to transform the largest of trees at the end of their growing years into exquisite furniture. Their lives can now be extended for many generations to come. John now spends his days at little league games and oversees a growing tribe of highly talented and passionate woodworkers. 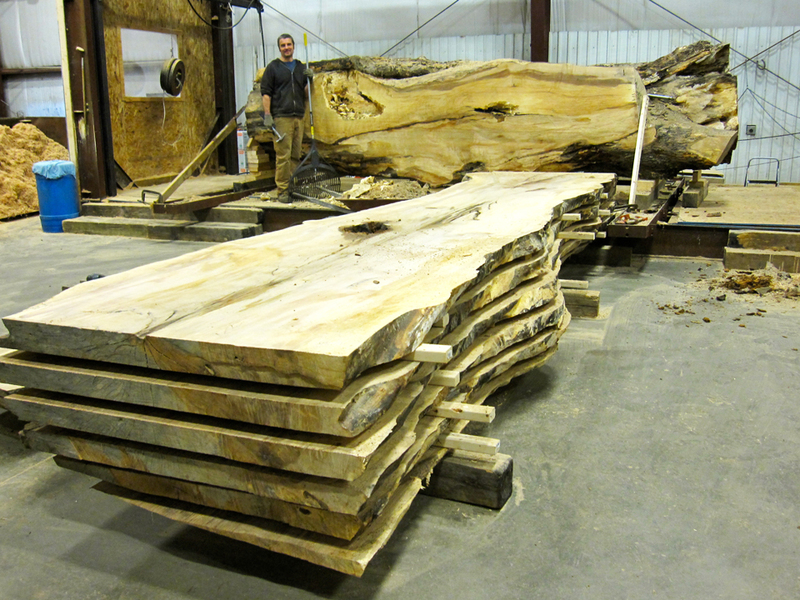 He is happiest when he is at his sawmill discovering the amazing gifts that Vermont’s heirloom trees hold. As a customer in the showroom said recently, “he sure knows how to talk to the trees”. Yes, that he does.